Working in teams that handle pre/post settlement support, inter system reconciliation, document risk review , reference data management and portfolio reconciliations. Hr Round of an interview. Final Round of an interview. 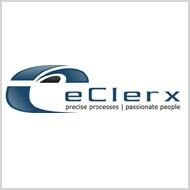 0 on: "Freshers:: eClerx Services walk-in for Finance Analyst"